The LAPTMR2 Automatic Laptop Timer allows all laptop computers to be charged from a single electrical circuit. 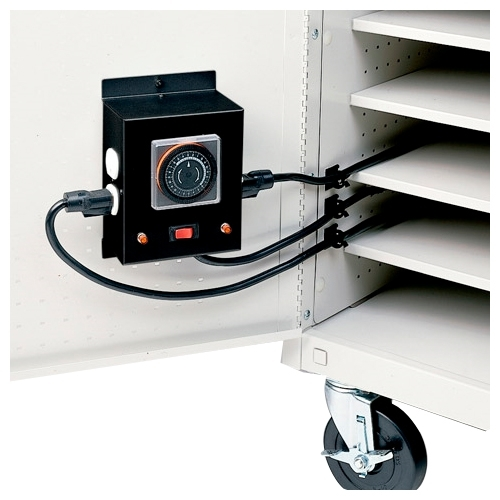 Laptop carts with multiple electrical units plug into the timer which is then plugged into a standard wall outlet. The timer switches the electrical current from one charging unit to the other providing up to 4 hours charging time per electrical unit. UL-Listed with a 7' power cord. Finished in black.